Our new website will be up very soon. In the meantime visit our Facebook page to keep up to date with everything going on in the store. Wow! That was some major writer`s block. I`m sorry I`ve neglected my blog for some time, but there have been some new and exciting changes going on here and I can`t wait to blog about them. As you can see the blog has a new name and a slightly new look. Although Lovingly Grey has a special place in my heart, I never really loved it. It was rashly chosen after only a couple of hours of brainstorming. I couldn`t wait to write a blog, so I just picked the first okay name I could come up with and began writing away (well, writing away until that dreaded writers block hit!). 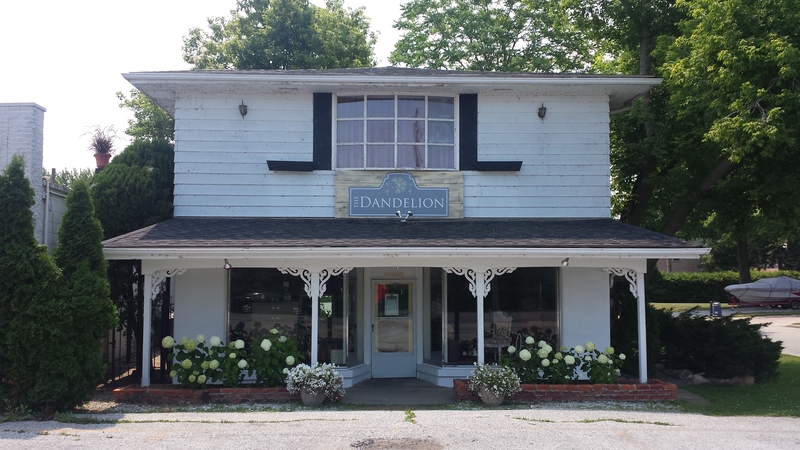 The Dandelion has a lot more thought behind it and it feels more like me. 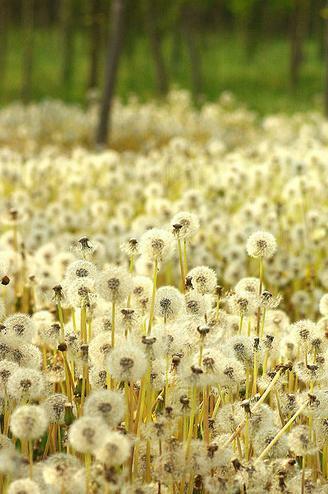 As a child, I have great memories of rubbing yellow dandelions on my chin and the chins of friends to determine if we like butter, and once they turned blowing away their fluffy white pedals to make wishes. And as I got older, I started to see their graceful beauty. I also thought the name was fitting as dandelions change throughout their lifetime. 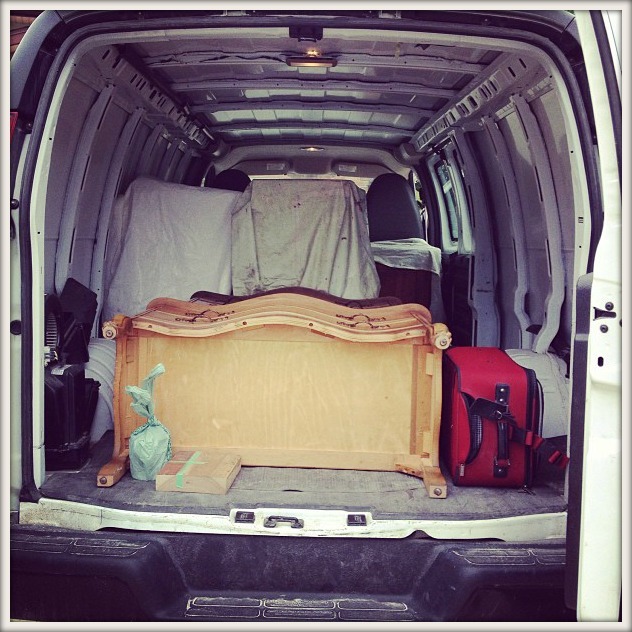 It made me think of the change the furniture goes through from the time we get it until we`re ready to sell a piece. Am I stretching the metaphor here? When I edited my brother’s school assignments, I used to accuse him of the same thing! (Sorry for calling you out Seany!) Anyways, with a new name comes a new look. We hired local graphic designer Sarah Smitherman to design a logo and I think she nailed it. She was even able to incorporate my love for everything grey. “Why are you spending so much time redesigning a blog you’re neglected for so long?,” you ask. Well, firstly, I’m excited to have a fresh new list of blog topics to write about. 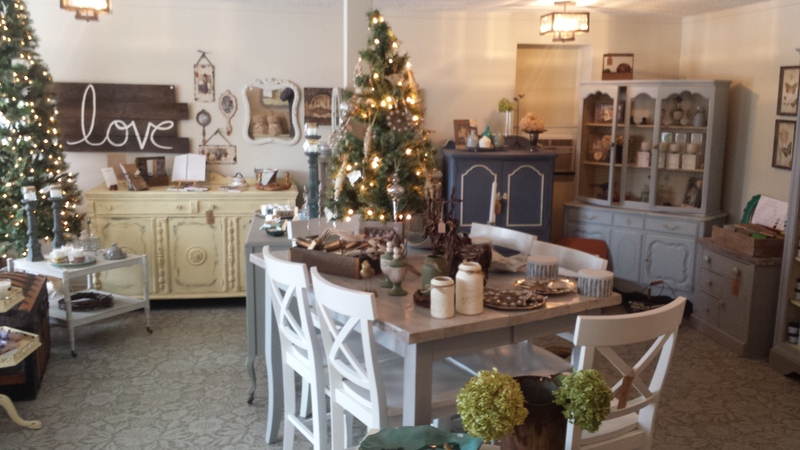 And secondly, we opened a store! Owning a store one day has always been dream of mine. My dear therapist (a good therapist has been a great tool in my tool box for life) has an exercise where he occasionally asks me where I see myself in five years. Although my answer has evolved, the one thing that has been constant is I’ve always seen myself owning a home décor store. And the location of my dream store was very important to me. I wanted the sweet white store with great corbels and brick walkway near the corner of Riverside Drive and Lesperence. I have wonderful memories of riding my bike to store when it was Great Things and buying rings and friendship bracelets before grabbing a frozen yogurt from Slinky’s next door (Slinky’s is no longer next door, but don’t worry they have just moved around the corner). I felt it was the perfect place for my one-day store. The weather is starting to change. We’re starting to trade in our shorts and flip-flops for pants and shoes. And there have been talks of putting the heat on… As summer ends (well, I guess it technically ended a few weeks ago), I wanted to look back on our backyard progress. By no means is our backyard “done,” but it has significantly changed over the last two years. The liner was faded and splitting in spots, the coping was damaged and the cement surrounding it was cracking. As someone who gets overwhelmed easily (I’m working on it! ), I was extremely overwhelmed by the work that needed to be done. But we broke down the backyard into projects; listing the things we wanted to accomplish each year. During the first summer here, we (I mean Tyler, my Dad and my brother) tore out all of the cement surrounding the pool. We also tore apart the old pool ourselves… always trying to save a buck! 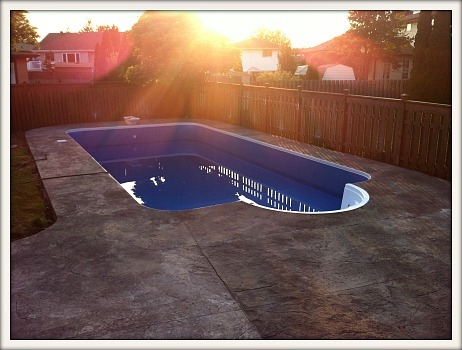 And Tyler’s stepdad Mark and Uncle Dave, who once had a landscaping company, came down from Brantford and with the help of our dads and brothers installed a beautiful grey stamped concrete pool deck. It really was a weekend filled of back-breaking work. I was too happy to be labelled “too weak” for the job and gladly spent the weekend serving water to the big, strong men! Although there were talks of us refinishing the pool ourselves with Mark’s help, we decided to leave that job to the experts and hired a pool company to do the reno. And by the end of our first summer, our pool and pool deck had a brand new look. I’m proud to say that I was the first one in our “new” pool, a victory us Dayus’ take much pride in. Ty and I were outside pulling weeds when I jumped in with all my clothes on to claim my title as first one in the pool. The water was freezing cold, but it was totally worth it. Here’s the video as proof. I know the sound quality of our iPhone video is terrible, but I believe I am singing “I’m the first one in the pool” while twirling around as Ty secretly records me! It’s a good thing we gave Mark a rest and didn’t take him up on his generous offer to help us with the pool last year, as he undertook the huge task of redoing our deck this past summer. Last summer, Ty took a reciprocal saw to our painted red wood deck. And this summer Ty’s mom and Mark came down for the Canada Day long weekend to install our deck. Although I was away and missed all the action, I hear it was a rough weekend. They rented a bobcat to move thousand pound armour stone to surround the deck. Then they raised the rest of the deck to be level with the armour stone by filling it with gravel. The deck finished off with grey pavers and polymer sand. Ty and his parents worked through the uncooperative weather and by the end of the weekend we had a beautiful deck. Also, by the end of the weekend, Mark proclaimed he is never building a deck again! Well, we are very grateful to have his “last” deck in our backyard. It is so lovely. I know I’ve said this before, but he really is one talented man! We finished up our backyard projects this summer by hiring a company to sod our torn-up lawn (a process that took over a month because of all the rain this July). 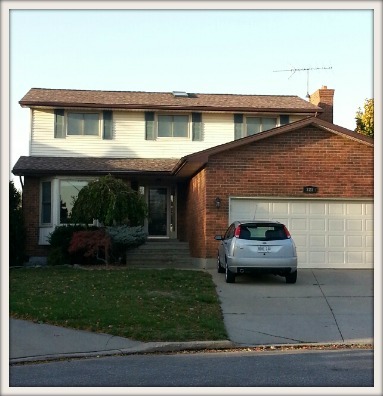 We also had a black aluminum fence installed on the side of the house. During the deck reno and grass installation, we got used to having our backyard opened and putting up a solid wood fence again seemed like a missed opportunity. The open fence makes our pie shaped lot look larger. 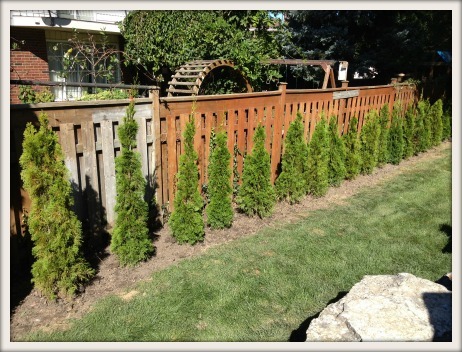 The last thing we did before calling it quits on the backyard for the year was line our fence with emerald cedars. Ty, our dads, and I spent the afternoon planting 29 trees. They are only four feet now but hopefully in a few years they will give us some privacy. Looking back, our backyard has certainly come a long way. It still has a bit of a way to go: I’d love to do some landscaping next year (add a few gorgeous hydrangeas! ), move the shed, and add a pergola over the deck with twinkle lights… But I’m far less overwhelmed and am trying to enjoy the process. The main thing I’ve learned from owning a home is that it is a process. That old saying, “Rome wasn’t built in a day,” is so true. We all have a vision of what we want our homes to look like, but it takes time, money and work. I’m working on enjoying the in-between. Oh, and another thing I’ve learned is to have lots of beer and pizza for the generous family who offer to lend a hand! So I’ve been away from blogging for awhile but that doesn’t mean I haven’t been painting! We’ve been painting quite a bit lately. We’re in the middle of painting a Cream dining room table set and an Old Ochre dresser and we’ve completed a cool Provence chalkboard dresser and Shutter Grey side table (check out my Shop Furniture page). I’ve also been busy helping a friend paint her great grandmother’s dresser (we did a cool zinc technique) and her laundry room cabinets. She’s been cooking me yummy meals in exchange for my painting help. Lentil soup, eggplant parmesan, and pear crisp… I’ve been eating well lately. There will be an upcoming blog about all our painting adventures. In between all of this, I also decided to start a Facebook page. I’m new to having a FB page and I’m still trying to figure out my stride with it. But if you haven’t already, check it out here and like it so I know you stopped on by! We’ve also spent some time doing projects for my family. My family and friends have been so supportive of this new hobby of mine. My Aunt Paula and cousin Taylor wanted me to find a table for their entrance way. 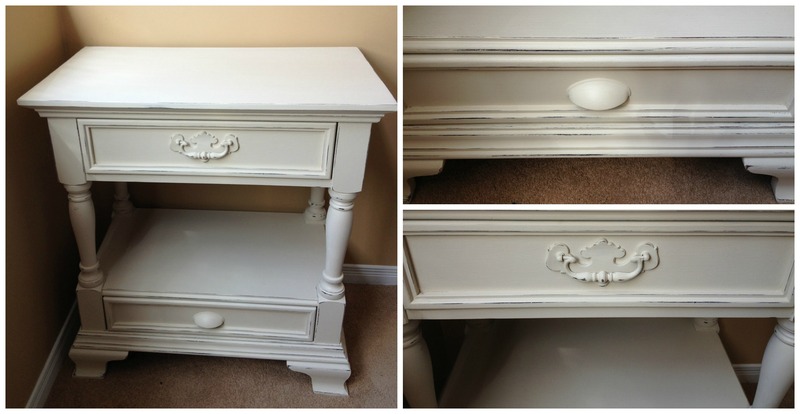 So I spent months hunting every Kijiji ad, thrift shop and antique store around looking for a table for them. I found some wonderfully beautiful tables, but none of them fit their space. Their entrance way is narrow and the table had to fit some pretty specific dimensions. 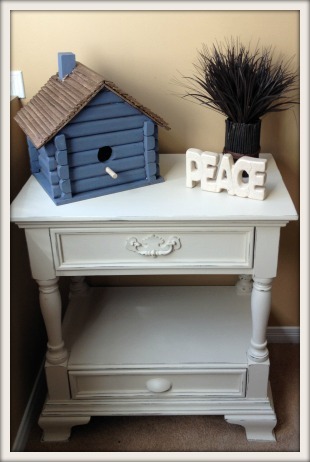 Then one night when I was going to bed, it hit me: my night stand would make the perfect entryway table! Ty and I are currently on the lookout for new bedroom furniture so we were willing to part with my nightstand. All those days of searching, and I literally slept beside the perfect table every night. Taylor made the birdhouse as a present for her mom for Christmas and they wanted us to paint it so it could sit on the table in their entrance way. As I know their house well, they also gave me free rein on the colours for both projects. I must say, it was a bit nerve racking to have all this control… what if they don’t like it? But I had a pretty clear vision for the table. I painted it Old Ochre and slightly distressed it so it would fit in with Paula’s decor. Picking the colours for the birdhouse was a little more difficult. I experimented with a few colour combinations before deciding on an Old Violet base with a dark glaze and a dark stained roof. 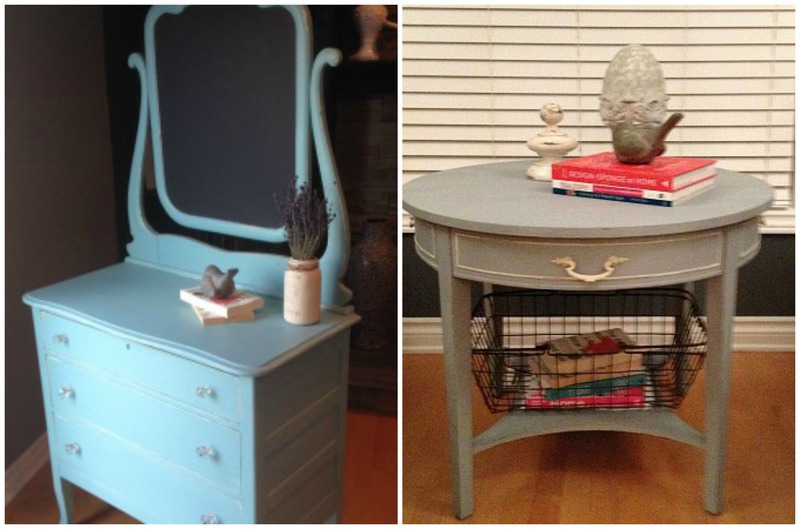 My inspiration was a dresser I did in the same colour scheme that I absolutely loved. 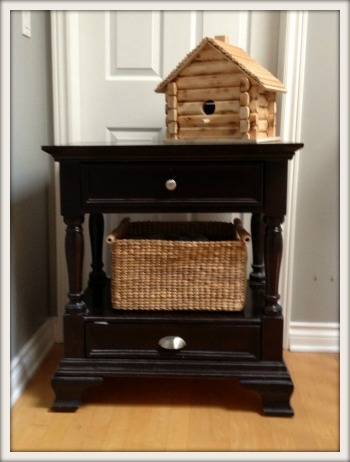 The table and birdhouse are in their entryway and I really hope they love them. I always hope the owners of the pieces that I paint are happy with them, but these projects had a little added pressure as they were for family. Speaking of painting for family, my Aunt Melissa entrusted me with this really ornate mirror and like my Aunt Paula had me chose the colours. 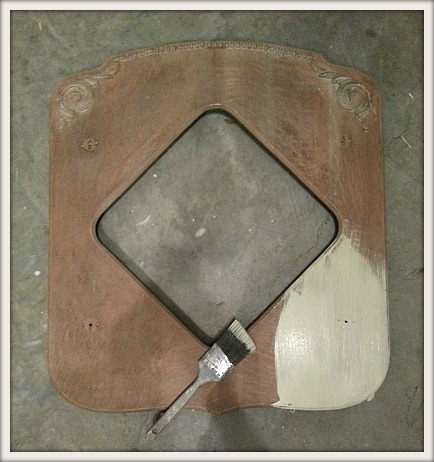 You can check out this mirror’s transformation on my FB page here.